Learn Spanish in Costa Rica or Panama and make friends ! With more than 30 years teaching Spanish, Universal de Idiomas Spanish Language Institute is one of the most experienced Spanish schools in Costa Rica, and the perfect place to learn or practice Spanish. Universal de Idiomas provides a perfect setting for learning Spanish and making life long friends. It is our goal to teach in a quick and efficient manner, thus enabling the student to get the most out of each week of school. Universal de Idiomas offers you a warm and friendly atmosphere, which makes learning very easy. At our school you get to know people from all over the world and our host families will show you the culture and society of the country. The school is located in the heart of San Jose, right where the action is. You will have access to countless restaurants, discotheques, museums and shops. San Jose is the ideal place of departure for trips throughout the country. There is also enough space for vacation: In Costa Rica there is a great diversity of species. Beautiful beaches at the Pacific and the Atlantic coast tempt you to go swimming or surfing. Costa Rica is an excellent choice to learn Spanish, get to know the people and the culture of Latin America and enjoy an unforgettable vacation, all on the same trip. 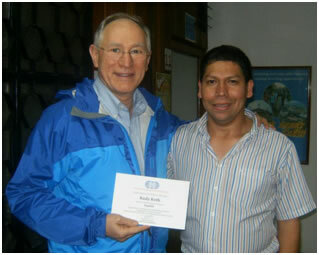 We will be glad to provide you with all the information you might need about your coming to Costa Rica and our school.